I have been thinking a lot about hell lately. I think it had to do with watching Pat Robertson’s CBN telethon. No, it is not what you are thinking. In the segment of the show I watched, there were testimonies of people who had near death experiences and some went to hell. So I started to think, and now I have a question that there is no easy answer too. Here are my thoughts, and the question. God has called us by the power of the Holy Spirit to love our enemies, pray for those who persecute us, go the extra mile, turn the other cheek, forgive as we have been forgiven, think of others as better than ourselves, love our neighbor as we love ourselves, give away our lives for the lives of others, to bless others, not to judge others. These things are the marks of a Christian and of course unconditional love is at the core of it all. Why? because God is love and we are to reflect his love in the cultures we have been placed. If God instructs us to show this love to the world around us without reservation, and the center of His Triune Being is love, how can He “send people” to an eternal hell? It seems to go against His nature and it seems to go against what He is expecting us to do. Here are my reflections on those. On the first objection…If you believe God created everything and everyone, then He created some people for hell. They did not choose to go there, God knew from eternity past that after they were born, they would reject Jesus and end up in hell. But he created them anyway. They were destined for hell. Which of course brings us to another question that I will not answer here. What about the billions of people who have never, ever heard of Jesus? The second objection, that God is holy and righteous is true. He is, and even far more than we can imagine. But according to one interpretation of Christian theology, God dealt with the sin issue at the cross by pouring out His wrath and judgement on Jesus, once for all. God does have the right to judge, there is no debate from me there, but the sacrifice of Jesus satisfied that. So then three questions arise. Was Jesus’ death enough for God or do we have to believe it was enough for God so we don’t go to hell? And the second question, If we are commanded to reflect in some small way the nature of God to those around us then shouldn’t being judgmental, angry and hateful be part of that reflection and why would God tell us to love unconditionally and extend grace lavishly if in reality the Westboro Baptist Church would be a truer reflection of God’s nature? And finally, why would God tell us to live in a way that denies his full nature, and tell us to live in a way that He does not model. 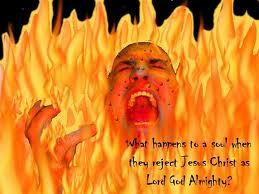 But perhaps we need to revisit the doctrine of hell and what it really means. I’ve been asking those same questions for a long time. And here is my conclusion: hell is a very lonely place. IF we believe that Jesus did everything that needed to be done on the cross to forgive us, then nothing, NOTHING, can add to that – we can only respond to that. Second part – how do we believe? So what of those people who have never heard? Why would we possible believe they fall outside of God’s love and forgiveness? Jesus died for them too – for all people. Our eternal life has been decided – and it has been done through the forgiving action of Jesus on the cross. Our responsibility to not to believe harder or do better, our responsibility is to grow in our discipleship. And we do that as we pray daily, read the Bible daily, serve others, tithe, worship weekly (that’s with TWO e’s, not “ea”), and build up the church. And the reward in that is the action itself, not some far off future in the clouds. The sooner the church gets back to preaching the gospel rather than the law (and judgment and condemnation), the sooner the church will be a relevant force in the world again. Don’t give up hope. There are others besides you who are carrying forth that message. I love and agree with what you have to say, and I love the line “hell is a lonely place”. Thank you for you words and your encouragement. Peace to you my brother. Thanks for the message and the assessment of the enormity of the Gospel. Thank you for your reply. It is most encouraging! Your flock is truly blessed to have you as their companion and Shepherd on The Way. not wanting to get into a debate but your point on the first objection is a Calvinist point. There would be some of us who would say that God created all things but that does not mean he has determined anything other than to love us sacrificially. But on your other points, right on. Great questions. And I am in agreement…the Cross is far bigger and more powerful than we understand. The Resurrection even more…..which leads to the point that your second point about the Cross was very unCalvinistic….. Anyway, thanks for your great insight as usual. Great post – I will start off by saying that I personally have no truck with Calvinism, whose obsession with the sovereignty of God largely ignores the mercy and love of God – which is kind of missing the whole point, to me. It simply perpetuates the situation of power politics on earth and drags them into heaven. I don’t believe in God, love God, worship God, because He is all-powerful, but because He is all-good. If He were not all-good, there would be no point to it. Power is everywhere – and you do not, perhaps cannot love power – not in any sense that is shown in 1st Corinthians 13. But you can love goodness. And that is what Jesus was. He was not all-powerful – otherwise He would not have been beaten, mocked, tortured, crucified. But He was all good. He was the manifestation of, the incarnation of God – all Good. Loving. Fierce against evil. But loving and tender and merciful. I do not understand the Cross, insofar as the exact equation of it (God’s wrath? God’s justice? God’s sorrow? God’s love? ): but I do know and believe that Jesus’ death and resurrection set us – set me free. Because of this, I, too, think that hell is a very lonely place. I think it is we humans who demand hell, because of our own obsessions with power and revenge and fairness and hierarchy. We’re the ones who make lists of who’s going there, we’re the ones who are obsessed with punishment for sin (mostly of others), we’re the ones who (rarely) believe that repentance is enough: in other words, we’re Elder Brothers left, right and center. The whole story of the Prodigal Son is the father RUNNING to embrace his sorry kid, and offering everything to both children. If that isn’t an image of how it works, I don’t know what is. Wonderful and excellent points! Thank you so much for your thoughts. Couple of observations. 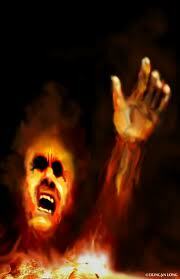 Hell is not a biblical doctrine, it was developed by the church during the middle ages mostly. It is largely based in western/greek mythlogies thus making a point of syncretism with the early church. Although the bible does mention places like sheol or gehenna, the translation we have as hell is not suitable. Gehenna for example was valley dump, filled with dogs and fires to burn the rubbish, so there is no mention of spiritual torture other then the one we give by our western mindset. SHeol as well does not imply a place of spiritual torture that last’s for ever, but simply means enterred, or buried. No spiritual connotations there. The only mention of spiritual place we are given in the Bible is that of Paradise (not Eden) in the Crucifixion and the Lazarus story. Granted the rich man was not in paradise or earth, but there was no mention of hell either, just, as someone already said, a lonely existence. Yes, I have heard of this Greek mythology of hell, as well. That people mostly think of. I asked a priest once what purgatory is and he said it is a stat of mind or being not a place.So, I think that is what our heaven or “hell” is a state of being that we have made. More of my two sense lol. Again, we reap what we sow. Check out a book called “Love Wins” by Rob Bell. A great read. One of the thoughts presented was to question the notion that our short 80 some-odd years on this planet really determine our fate for all eternity. I don’t really remember all the arguments so I won’t attempt to repeat them here. I don’t know for sure that he provides answers but he does ask some compelling questions that are directly on point. I have read it a while back and I think that part of the reasons for my thought come from Rob Bell. Like him I am just trying to put things together in a way that makes sense. Thanks for reading too, Peace to you. I am Eastern Orthodox, and the way that American Christians (esp. 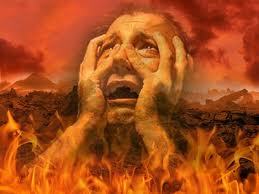 certain sects & denoms of Protestants) emphasize, justify and preach about Hell is confusing to me. It’s also more than a little scary! In the East, we have the belief in Apokatastasis or ἀποκατάστᾰσις in the Greek. It is the belief that *all* of creation, through the mercy of Jesus Christ & the glory of the Holy Spirit, will be restored to the original perfection like was in the Garden of Eden. **ALL** of creation. We also in the East believe that no sin that we finite humans can commit is larger or worse than the Salvific power of Jesus. Jesus is the Universal Messiah and Prophet. His words are true, and his sacrifice was full, complete, and total. If any sin WAS larger or worse than what Jesus died for, then that means that Jesus is a false Messiah and we are all lost! But that is not the case… we are all saved by Jesus, and we need to accept that and live lives that demonstrate the love & mercy of God. For those who think that the idea of Jesus coming to die for sins is “absurd”, I state that you should think of Him in terms of being a Universal Bodhisattva (Sanskrit: बोधिसत्त्व bodhisattva; Pali: बोधिसत्त bodhisatta). This I think is a more accurate way to convey the wisdom teaching & self-sacrafice of Jesus for all of creation. I think it is sad that most people in the West don’t know about or really understand the faiths of the East – both Christian and other religions. Thank you very, very much for your words and thoughts, I love your theological point of view. Thank you for sharing it here. Hell is separation from others, and ultimately, from God. You can experience hell on earth by being separated from others. God created hell, in the sense that God created us with the ability to be separated from others. To avoid hell, we have to receive the connection provided freely from God, and reach out and share that connection with others. Very good thoughts. Makes me even think more about all of this. Thanks for sharing. I’ve heard the suggestion that hell is simply the absence of God. And if God is love, then hell is the absence of love. This is perfect I have been asking this myself a lot, why would a loving God allow people to be tortured for eternity? That would be tyrannical it seem. I think there is a battle between good or god and evil. God wins eventually we are here for free will to see if we chose the golden rule of jesus. Other wise your probably in a lonely place = torture, which is not love. Or you perish. Jesus mostly spoke of perishing, not “hades”. He obliterated sodom and gahamora, but he said even they could have been saved if they sought it. So it seems he brought life to people who sought him if not they died. That is my interpretation. Jesus died and rose after three days. Just my two cents. You reap what you sow.Personally, I am where the writer of this is page. As the centurion said I am not worthy to receive you but say the word and I shall be healed.The book of revelation mostly spoke of hell and such, which was written by man not Jesus. thanks for reading and for sharing your thoughts as well. I appreciate you words. Are we being blasphemous lol. I also agree with you on the church hypocrisy. My theory I heard in a movie once is there is a God and I am not him lol.I think Jesus was not into religious rigidity but being kind to all types of people. I think the best line is you will be judged as you judge others. I do not think that it is blasphemous to ask questions. Thanks for sharing. I saw the same show. i was amazed at how many accounts focused on hell when by and large near-death experiences are positive. Then I saw Pat Robertson, an altercall and a plea for money. Hum…I am fascinated by near-death experiences of people and the thing that strikes me is that they all came back–it’s as if God used the experience, for their ultimate good–imagine that. I think that God can use anything to get our attention but I don’t think much about the threat of hell or the promise of heaven. For me, my Christian walk is about my experience of Christ here and now. I find it liberating to trust God.. I could not agree more. Peace to you my friend. I have to say that there are quite a few views on what hell really is. I am reminded of this song I once heard called Because by yoko kanno. It talks about the future being the only thing one has left. I must admit that I doubt my beliefs a lot sometimes and it breaks my heart when I see people making fun of religious beliefs across the world because of what extremists do. I don’t know what lies beyond the cove of the grave or who will really go to hell or not. We are all dreams in the universe, here one day, gone the next. We don’t ask to be born or chose the day at which our stories end but between then we can show what love we can to those around us if we so chose to do so. for them. All I desire as one person is to show love in the world. To show compassion, forgiveness, understanding, warmth. To think all this is here for nothing just……just dosen’t make sense to me even if it really has no meaning . In the end all we can do is show love as much as we choose to do so. I wish I could believe again…I really do but I just keep doubting. Hi, I stumbled upon your post in an internet search. It was great. Everything you wrote about I struggled with myself. Wondering how a good God could create so many knowing that they would not believe in Jesus and therefore end up in endless hell. As well as how God commands us to be so lavish with grace and forgiveness and yet He refuses to do the same with everyone He casts into hell. I struggled with these thoughts for a few years until it became far too heavy for me and I asked God for some light on the issue. And within a few months, out of the blue He told me, “Dont worry, all things will be summed up in Christ!” That is from Ephesians chapter 1. I didnt know what it meant, but I felt better about it. Within the year God opened my eyes to see the most wonderous thing in Scripture, the salvation of all men! And it turned out to be everywhere in Scripture. Mt. 17:11; Acts 3:21 – God has appointed a time for the restoration of ALL things. Isa. 45:22-25 – The Lord has sworn, ALL the ends of the earth will turn to Him and be saved. Rev. 5:9; Mt. 13:38, 44; 1 Cor. 6:20, 7:23; 2 Pt. 2:1– Jesus’ blood purchased the whole world. Jn. 3:35; Mt. 11:27 – God has given ALL things into Christ’s hand. Jn. 6:37-39 – Christ will lose none of what He has been given. thank you for reading my blog and thank you too for such an extensive examination of Scripture. One a person understands grace, it changes everything, including how we view heaven, hell, and the kingdom of God. I have to admit that I tend to lean more in your direction concerning the salvation of all people and not just a few but it is a struggle for me to rectify all that i have learned over the last 35 years as a believer.